SEOUL, Aug. 20 (Yonhap) — When South Korea’s National Assembly budget committee endorsed a proposal setting aside funds to investigate the current status of bear farming, animal rights groups celebrated that their efforts were finally paying off. The bill allocates 200 million won (US$176,000), and the investigation would also include creating a way to end bear farming all together.”It’s making positive progress,” said G. Moon, founder of moonbears.org, a coalition and Web site created in 2007 to save Korea’s moon bears. 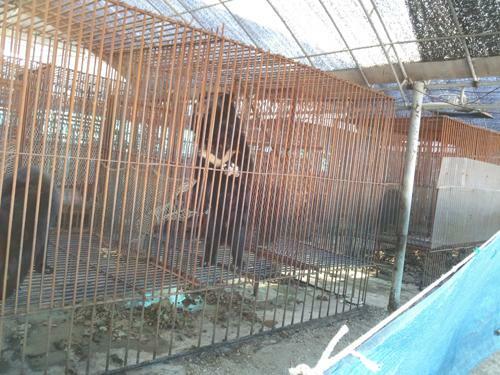 According to a 2011 report conducted by TRAFFIC, a wildlife trade monitoring network, the Ministry of Environment said there were 59 bear farms in Korea housing 1,066 bears. In contrast, on Mount Jiri, one of the country’s famed mountains in the southwest known as the living ground for the moon bears, less than 30 are believed to be living. Most of these Asiatic black bear species are wanted and caged for their bear bile. Bear bile, a typically dark yellow or brown liquid made in the liver but saved in the gall bladder, is commonly used in traditional Chinese medicine, using it to help ease pain, vision problems and fevers. It’s also been found in toothpastes and soaps. Bear farming is legal in Korea, China and Vietnam, though Vietnam has began phasing out the trade, said Kelly Frances, founder and president of Bear Necessity Korea, a non-profit group that aims to end the bear bile farming industry. It’s illegal, however, for any of it to be exported, and Korea has already made the extraction of bile from live bears illegal due to public concerns, according to a spokesperson for the World Society for the Protection of Animals (WSPA). Fortunately, people’s awareness of the welfare of moon bears has steadily risen, giving credit to efforts by a number of different groups aiming for the same thing — ending the cruel practice across the globe. The WSPA spokesperson said Green Korea United, a non-profit organization, has run campaigning within Korea with major celebrities, politicians and the public, gaining petition signatures and helping persuade the government that this is an issue that needs to be addressed. A series of media footage reports showing the bears writhing in pain after the extraction and the dire conditions at the bear farms have also aired over the past couple of years. Moon said the number of Koreans signing her group’s petition is increasing. 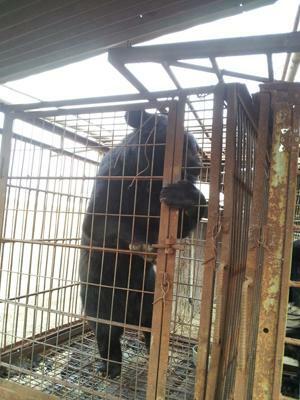 Other advocacy groups, Bear Necessity Korea and The Bear Truth, have sprung up in the past five years. Last year, Craftworks Taphouse located in Itaewon, downtown Seoul, introduced the Jirisan Moon Bear IPA, aiding in awareness. Restaurant employees also put out information about moon bears on the tables every few weeks, said Dan Vroon, Craftworks’ majority owner. “We’ll do everything we can to help out,” Vroon said. As recently as late June, efforts were made to end various aspects of bear bile farming. On June 27, the Animals Asia Foundation and the Korean Animal Welfare Association jointly launched a public awareness campaign created to educate people about the illegal cross-border trade of bear bile from China to Korea. The consensus appears to be there. In 2011, an opinion poll conducted by Hangil Research and Consulting in Korea found that 89.5 percent of those surveyed said they disagreed with the breeding and killing of bears for gall bladders. While bear bile does have medicinal value, there are more than 50 alternatives now, according to Chris Shepherd, deputy director of TRAFFIC Southeast Asia. John Walker, chairman of Macquarie Securities Korea Ltd., pitched in on the effort. 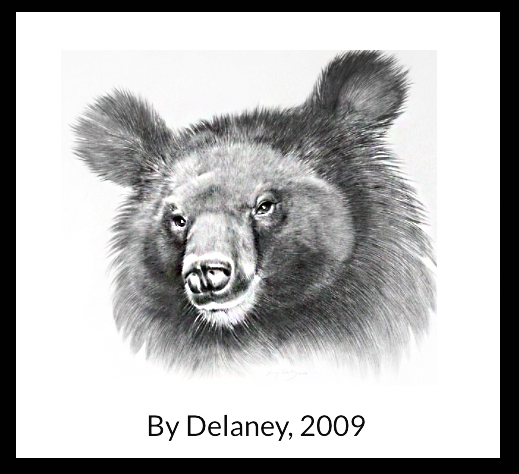 He wrote two children’s books within the past three years about Ura, a young, fictional moon bear, and her friends. With two more books planned, Walker said he hopes the books promote bears and animals in Korea as soulful creatures. “It’s a more gentle and a constructive message,” he said. The coming months could provide a chance to give the movement more momentum. In September, the International Union for Conservation of Nature, the world’s oldest and largest environment organization, will convene on South Korea’s southern Jeju Island for a congress aiming to put nature and conservation at the top of the global agenda. A motion to phase-out bear farming will be considered at the IUCN World Conservation Congress, Frances said. Because the IUCN focuses on conservation, the motion only pertains to the implications of bear farming to the status of wild bears, not to the farmed bears, as animal welfare is not the focus. Regardless of the results, hopes are high that the 200 million won allocation will help lead the country to banning the farms, and ultimately lead to a sanctuary for some of the bears currently living in captivity.